Lee County, Alabama (March 25, 2019)— The Salvation Army’s emergency response to the Lee County tornado outbreak of March 3, 2019, has transitioned to the long-term recovery phase. After serving from day one of the tornado outbreak—providing food, hydration, and emotional and spiritual care to tornado survivors, first responders, and volunteers—The Salvation Army is continuing to serve affected residents through partnerships with local emergency management and the Lee County Long-Term Coalition. The Coalition meets to identify unmet needs and determine how the resources of volunteer agencies can be best utilized to meet the continued or on-going needs of the affected communities. Thus far, The Salvation Army has participated and contributed to the recovery by ensuring that survivors have food, household goods and hygiene items. 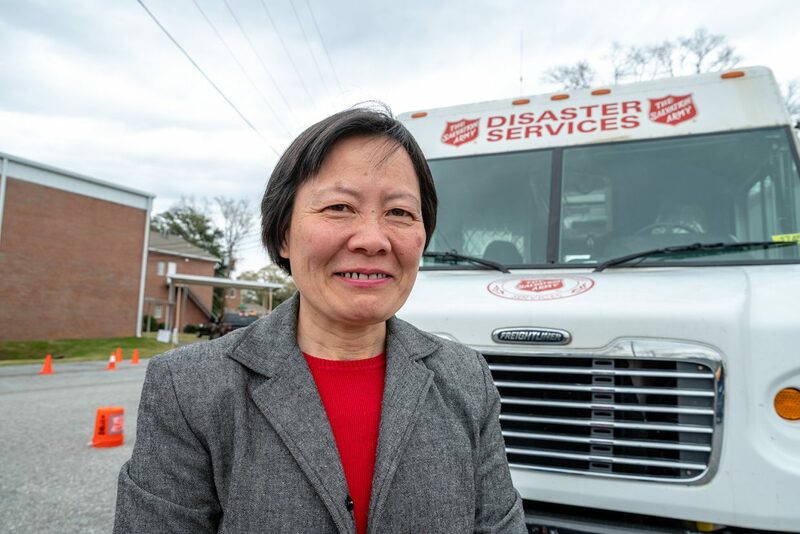 “In partnership with other community organizations, we will continue receiving tornado survivors to address their needs,” said Annabelle Tsui, Salvation Army Lee County Service Center Director. “It is truly blessing to witness wounded hearts and communities being mended through the volunteer efforts of The Salvation Army and many other partner organizations,” she continued.